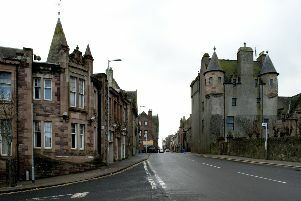 Maybole’s annual gala day is getting closer and this year’s King and Queen have been announced along with their attendants. Gala King and Queen are Reece Mitchell and Eilidh Welsh of St Cuthbert’s Primary; Cairn attendants are Carmen Hearton and Logan Urie; and Gardenrose attendants are Aimee Campbell and Warren Campbell. All six are really looking forward to their big day on Saturday June 27.